Bathtub removal and replacement may seem like a tough task, but it’s easier than you think with the right preparation. Bathtubs can get old over time. If you live in an old house, you probably know what I’m talking about. 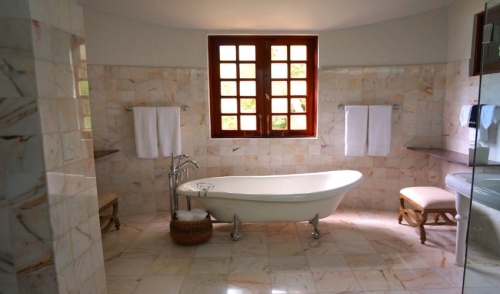 The tub can appear to look tired and worn and often takes away from the décor of the bathroom. A good bathtub can be a focal point in any bathroom. In this article, you will find some great information on how to remove and replace a tub step by step. It’s important to understand that because you’re replacing an existing tub, there will be some limitations when selecting a replacement bathtub. Before picking a replacement, make sure to know the exact width, length, and drain placement. You want to purchase the most comfortable tub you can find, but you also want to ensure it will fit when it comes time for installation. Tubs and bathrooms are like two puzzle pieces. If the piece doesn’t match up exactly, there’s no forcing it to work. The point is, whether you opt for a traditional tub or a spa/whirlpool variation, be certain it fits your bathroom. Start the removal process by shutting off the water in the house. Depending on your tub, your drain might have different components that may need to be removed first. Using a screw driver, unscrew the stopper from the inside of the tub and remove the waste and overflow valve cover. In some cases, removing the waste and overflow may require you to access behind the tub or from below through a panel. Next, disconnect the drain by using a screw driver and a pair of channel lock pliers. During this process, remove the pipes where the drain and overflow valve meet and lift out the strainer or stopper. Once the pipes and accessories of the tub have been completely disconnected and removed, it’s time to start demoing around the tub to remove it from its place. This means scraping off tiles with a pry bar and sawing a portion of the surrounding wall with a drywall saw. Pry off any nails or unscrewed screws you find during the course of the demolition. By cutting the wall in advance, you will make it easier to install in the next bathtub and it will make repairing the wall much easier. Keep a utility knife handy to cute away any old caulk. Following removing everything around the tub, use a crow bar to pry the tub away from its positon. As you pry away the tub, start to use 2x4s to lift and slide the tub out. When ready, remove the upright tub from the bathroom. Now that your tub has been removed, start the replacement process by fitting your replacement tub in its new home, dry fitting the tubes, and adding the overflow trim. Insert the shoe tube into the opening within the overflow tube and slip the other end into the drain hole and secure the flange. Slowly secure your tub to its final position without damaging the porcelain or interior and make sure its level. Hook up the drains, connect the waste and overflow tailpiece, and tighten the pipes to finish connecting all the necessary parts. Once level and all pipes properly connected – fasten the flange and secure the tub to the surrounding studs. Finalize your bathtub replacement by finishing the surrounding wall. Try to grab a partner to help speed along the installation and seek advice from the professionals you grabbed your new bathtub from. Follow these steps and advice to aid in the completion of your DIY bathroom renovation.